Amusement Park And Waterpark Injuries: An Attorney's Perspective | Pothitakis Law Firm, P.C. Yesterday, three children fell from a Ferris wheel at a Tennessee county fair due to a mechanical failure. Recently, a 10-year-old boy was tragically killed in a water park ride accident in Kansas. In 2014, a branch was knocked onto the path of a speeding roller coaster, derailing the car and leaving the passengers stranded for hours. In 2013, a woman was thrown to her death from a high-speed coaster. These stories of fast rides and tragedy are headline grabbing and, fortunately, rare. But amusement park injuries are actually quite common. Only a fraction of cases involves serious trauma and wrongful death from attractions. Most ride injuries are a less severe head, neck, and back injuries. While it isn’t newsworthy, most injuries that occur at parks are cases of lacerations, broken bones, or fractures caused by slip-and-fall accidents. If you or a family member suffered an injury at an amusement park, you may be able to collect compensation for related expenses. Negligence: Did the park or ride operator demonstrate a lack of reasonable care that contributed to or caused an injury? Was the ride operator properly trained? Product liability: Was an attraction inherently dangerous? This means that proper maintenance and inspection still would not have ensured safety. It is expensive and difficult to prove that a manufacturer could have used a safer design for a ride. Premises liability: Did the owner take reasonable care of the construction, management, and maintenance of the facility and grounds? The assumption of risk: Is the rider participating in an act that has inherent risks? Rider noncompliance with rules: Did a rider ignore posted rules and warnings such as height, weight, and health restrictions? 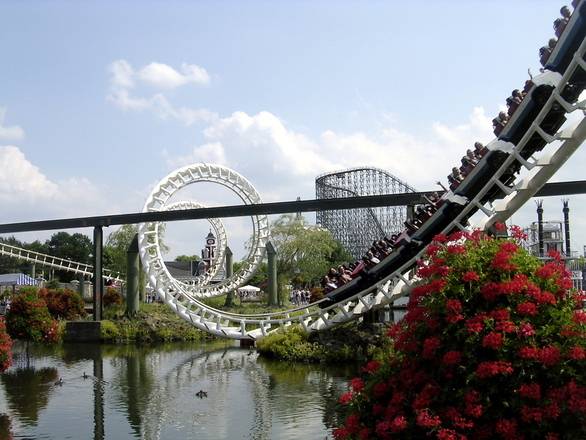 If you have been in an amusement park accident contact Pothitakis Law Firm at 319-774-4672.